Posted on August 18, 2014 by revivewa	in Uniting Generations and tagged 2, State Youth Games. This year, Nedlands Uniting Church, in partnership with Mt Pleasant and Billabong Uniting Churches, embarked on the 28th annual State Youth Games. 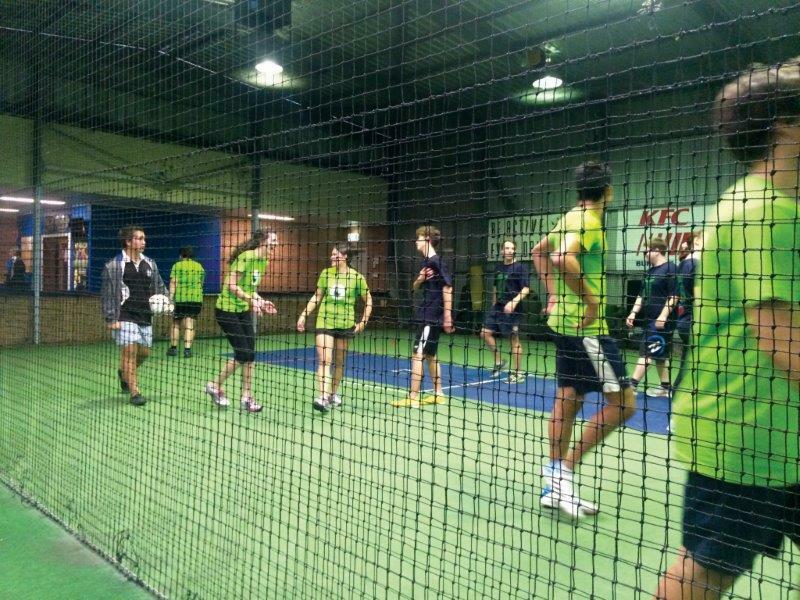 State Youth Games is run by Youth Vision (Churches of Christ WA) and is a sporting weekend for young adults aged 16-28. The Uniting Churches (known as ‘The U-Team’) took over 30 competitors to Bunbury for the annual June long weekend event. Tournaments are held in a range of sports including netball, soccer and basketball, as well as genuine sports such as Uno, chess, dodge ball and even tenpin bowling. The U-Team placed 9th out of 20 different churches and were among the smallest teams in the top ten. We placed first in four events and in the top five in a total of eight events. We finished first in badminton and indoor soccer for the second time in our four years of attending, as well as first in tenpin bowling for the fourth consecutive year. We also won the inaugural orienteering competition. Beyond the sports, State Youth Games is an opportunity to experience God through community and the Saturday night gathering. This year, State Youth Games welcomed Blake Young, a Christian rapper from the United States who gave many of the attendees a new experience connecting with God through rap. We also heard from Mike Pivalachi from the UK challenge who encouraged us towards a genuine relationship with Jesus. We had times as a team to review our results and had a special bonfire night on Sunday night, concluded with a spirited effort by our women’s and men’s triathlon teams followed by the closing ceremony. Special thanks to the congregation of Bunbury St Augustine Uniting Church for hosting us and the many volunteers that contributed to our team over the weekend. If you are over 28, or over 18 and have a serving heart, please join us as an adult volunteer next year – a lot of support is needed to make this event happen. And if you missed out as a player this year, join us next year for a great weekend of sport.